Last week the news that Toho plans to start a new Godzilla series after 2020 hit and the kaiju fans went nuts. I've been waiting to talk about it here as I wanted to see if anymore news would come before I started talking about it. Some were upset that it was outright said there wasn't going to be a Shin Godzilla sequel. Personally, I liked Shin Godzilla, but don't want a sequel. I'd much rather have a return to traditional Toho Godzilla movies. As Monsterverse rages on, the 2020 time frame is the same as when talks of Shin Godzilla 2 were going around. I believe it's part of Toho's deal with Legendary as so the movies don't compete with one another (which would really be self defeating, all it takes is a look at the time frame between current Toho Godzilla movies and Legendary's time frame to get the idea). With Legendary's Godzilla 2 and King Kong vs Godzilla coming in 2019 and 2020 respectively, it's clear as to why the 2 year wait. Allegedly there will be a span of 1-2 years in between Toho releases, which is standard Godzilla series timing. Realistically, they're probably going to be filming the first movie during this time. I'm very, very, very excited. 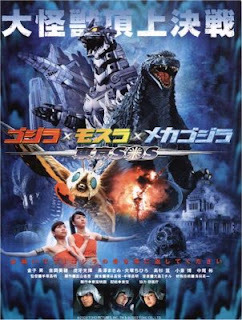 It's no secret how much I love Legendary Pictures offerings in the genre, but Toho is king of the giant monster movies and a new series from them is super exciting for a life long fan. Fortunately this new era is during the modern age where watching a foreign movie isn't that much of a challenge anymore. Gone are the days of finding bootleg dub jobs on VHS while waiting for an American release that's often limited in release. As the US releases of Shin and the animated movies show, the turn around for a US release is pretty quick. The prospect of these being on Netflix in the US like the animated movies just made me scream in excitement out loud.